Investment Forester – Josh joined IWC in September 2018 as an Investment Forester. In this capacity, Josh is responsible for the assessment and advisory of current timberland fund placements in the U.S. Other responsibilities include investment due diligence, acquisition sourcing, manager relations, timberland appraisals, and market forecasting. Prior to joining the IWC Group, Josh held various roles within the Resource Planning team at Resource Management Service, an international timberland investment manager. These responsibilities included timberland acquisition and disposition analytics, harvest scheduling, retail land sales, and scenario analysis. 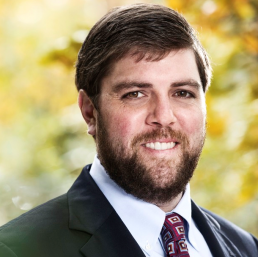 Josh began his career as a Forest Manager with Molpus Woodlands Group, overseeing the investment management of client timberlands in East Texas and Louisiana. Josh holds a B.S. in Environmental & Natural Resource Management and a Masters of Forest Business Operations, both from Clemson University.